Fremont, CA – March 27th, 2019 – eSalesData, a well-known B2B marketing database provider, announces the launch of its industry SIC and NAICS lookup tool. The directory comprises millions of codes across various industries and business segments. The tool has been designed to assist marketers, businesses, and organizations in targeting their sector of choice by SIC and NAICS codes. From agriculture to retail, the directory is equipped to meet any data requirements of clients. “Every industry and business is segmented into various subcategories and sub-divisions which makes marketing a challenging task. That is why the US government has allocated SIC codes to classify and segment industries with similar characteristics. Later, the NAICS code also came into being for better efficiency and precise identification and targeting of prospects. As it is easy to locate customers using SIC code, marketers come to us with the same requirement. 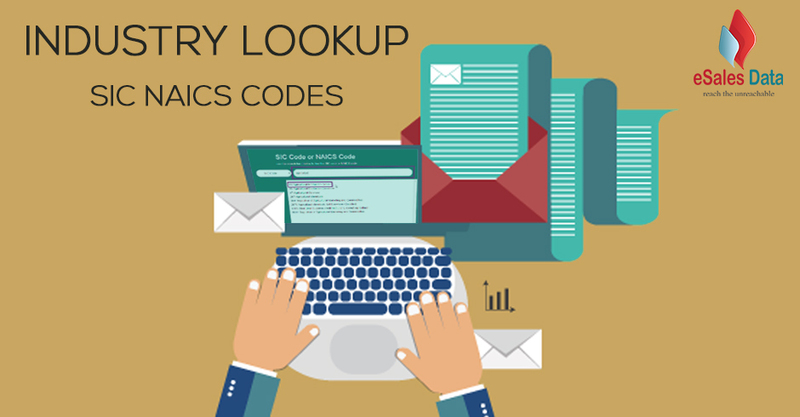 And so here we are with our exclusive offering to customers in the form of SIC code lookup tool.” says Tony Huff. • SIC codes– [Standard Industrial Classification Code]. • NAICS codes – [North American Industry Classification System Code]. With a view to supporting marketers in channeling their marketing messages B2B clients, eSalesData offers customized email and mailing lists. From providing relevant and accurate data to offering data-related services and solutions, eSalesData takes complete care of the marketing needs of companies of all sizes. With a rich directory of more than 75 million records, the database provider is an authentic and reliable source of data.